Visiting the Rhine River Valley never gets old. 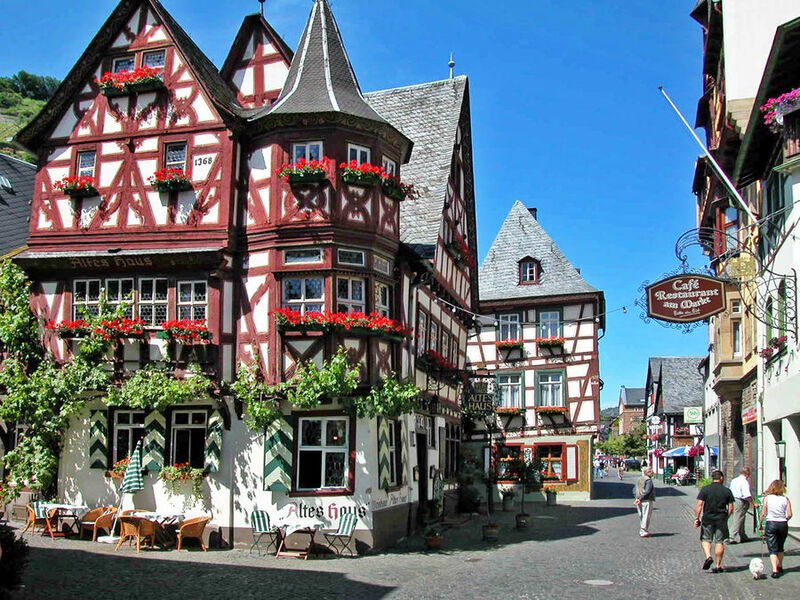 It's the fabeled Germany of hill-topping castles, rugged cliffs, half-timbered towns, and half-remembered myths swirling in the river's mists. 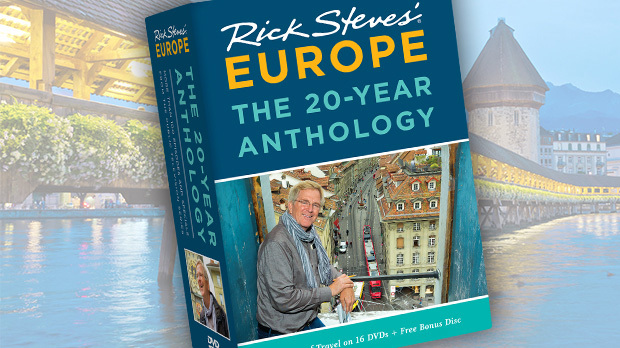 One of Europe's great thrills is zipping along the Rhine River on a fast train, or gliding slowly on a relaxing old steamer boat. The Rhine flows north from Switzerland to the Netherlands, but the 70-mile scenic stretch from Mainz to Koblenz hoards all the touristic charm. Studded with the crenellated cream of Germany's castles, it bustles with boats, trains, and highway traffic. By car, you have much more flexibility, stopping to tour castles as you go. A Rhine boat cruise is the most relaxing way of all, but it's slow. I'd do just the hour-or-two span from Bacharach to either St. Goar (nine miles) or Boppard (17 miles) by boat, and the rest by train. Bacharach draws lots of tourists for its time-capsule quaintness. Here, you can visit the intriguing ruins of a church on the hill, see a house from 1368, and walk the town walls. It's also the perfect place to spend the night — Bacharach is home to one of Europe's great youth hostels, the Jugendherberge Stahleck, in a 12th-century castle (and where I spent my first-ever night in the Rhineland years ago). As I hiked up here from the village below with a local friend on a recent visit, he recalled how, as a kid in the '70s, he and his friends scaled the castle walls to hang out with girls staying in the hostel. The hostel still rents cheap rooms to travelers of all ages, with no surcharge for breakfast or the royal Rhine view. Bacharach, whose name likely derives from "altar to Bacchus," is also where some of the Rhine's best wine comes from. Local vintners brag that the medieval Pope Pius II ordered Bacharach wine by the cartload. Rhineland wine festivals make a fall visit especially memorable, with fireworks displays and illuminated ships. Midway between Bacharach and St. Goar is the town of Oberwesel. From the river, you can see its ship's masts rising from terra firma — a memorial to the generations of riverboat captains and sailors for whom this town is famous. Like most towns on the Rhine, Oberwesel is capped by a castle (Schönburg, now a restaurant, hotel, and youth hostel). The other town landmark is its 130-foot-tall Ochsenturm tower, standing high and solitary overlooking the river. The town itself is worth a quick visit to see its charming main square and explore its museum with the best collection of historic Rhine artifacts I've found within the Rhine gorge. Climbing along the upper town wall, I found a path leading through a peaceful little meadow and forest with views of the town and its largely intact city wall, which still has 16 defensive towers. Among the many medieval towers, the Cowherd's Tower is now a private home with a fanciful drawbridge. In local folklore, the current family's teenage son threw a rowdy graduation party in the tower. With all the noise, neighbors complained. When the police came, the kids just hoisted up the drawbridge and partied on. Modern legends aside, Rhineland's many castles and fortifications, like the one above Oberwesel, testify to its strategic importance. The Rhine has been a major transportation route since Roman times, when the river marked the northern end of the empire. In the Middle Ages, the stretch from Bingen to Koblenz was home to no fewer than 16 greedy dukes and lords — robber barons running small-time dukedoms, living in hilltop castles and collecting tolls from merchant vessels passing by in the river below. There's a castle every few miles, each with its own history and legend, so you need to be selective about which to tour. My favorite is Rheinfels. While now a gutted shell, this castle offers your single most convenient and evocative hands-on castle experience on the river. Once the biggest and mightiest castle on the Rhine, it withstood a siege of 28,000 French troops in 1692 — but the French finally destroyed it a century later. 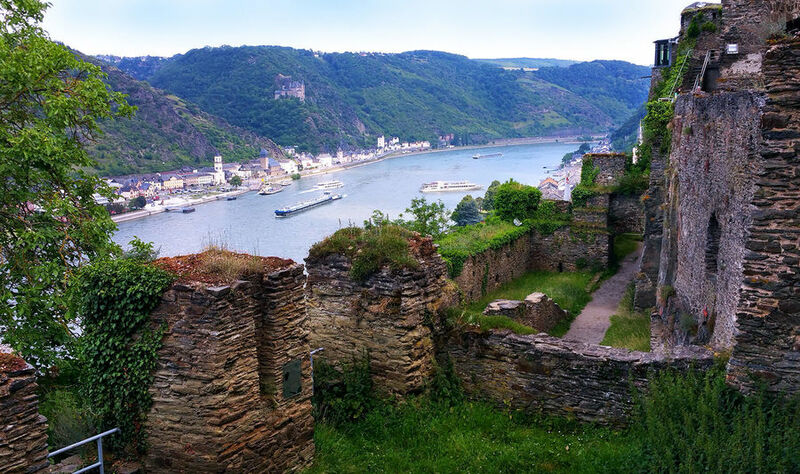 Nowadays, Rheinfels looms a 15-minute hike above a peaceful tourist town, St. Goar. With its half-timbered shopping street, St. Goar is a good place to buy a souvenir stein, and its leafy riverside park is perfect for strolling. 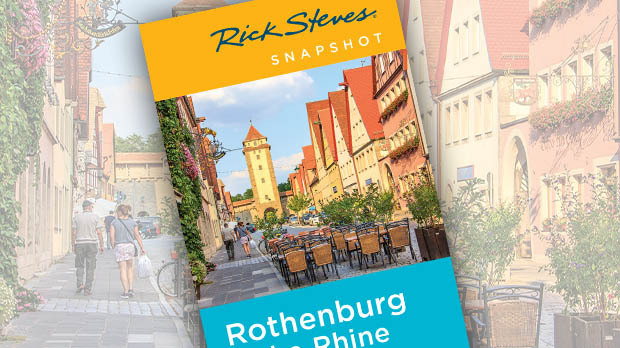 Visitors have been captivated by the Rhine Valley's past glory and rich legend for centuries. From mighty castles to its romantic rivers, from fine Rhine wine to fanciful cobbled lanes, with a little imagination, it's easy to rekindle the Europe of old in Germany's Rhineland.